Three restaurants and two retail stores may be on their way to a Brooklyn site once considered by CVS Pharmacy. The Ferber Company, Inc. is moving forward with bringing more retail and dining options to Brooklyn through the redevelopment of a 1.5-acre site at Riverside Avenue and Leila Street Ferber’s proposed Brooklyn Place would be a 12,500 square foot space for multi-tenant inline retail commercial uses, complimenting the adjacent Brooklyn Station development. Brooklyn Place’s three restaurants and two retail spaces will be occupied by unidentified national, regional and experienced local operators consistent with the existing Brooklyn Station tenant mix. The proposed site plan is a high street retail configuration. Restaurant space #1 is sized to accomodate up to 241 seats, while restaurant spaces #2 are #3 are sized to accomodate up to 137 seats each. 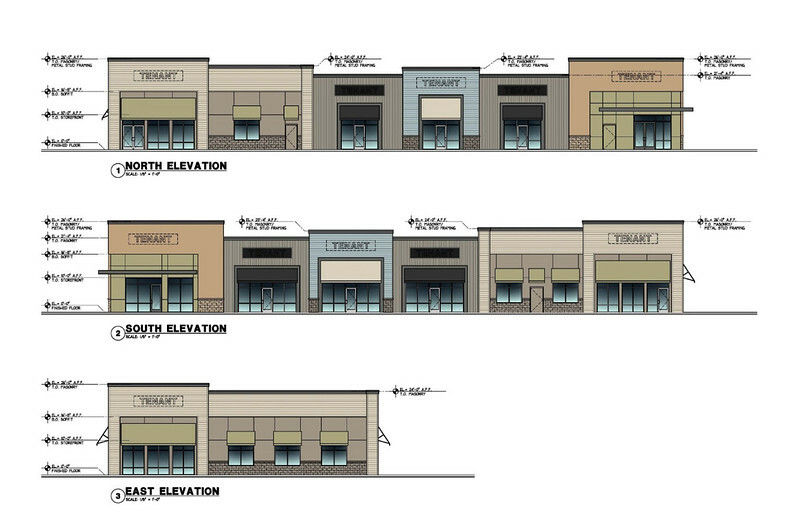 Two adjoining commercial spaces will each be 1,900 sq feet. 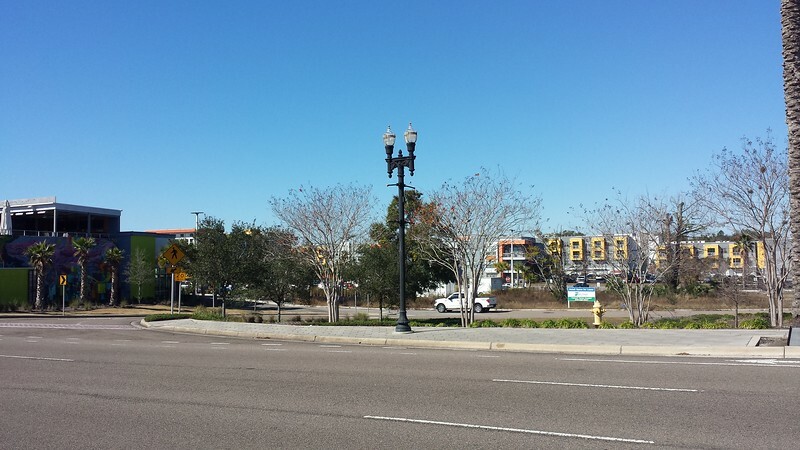 Some environmental remediation will also be necessary to construct the proposed retail center. To make way for the development, May Street west of Leila Street would be permanently closed. 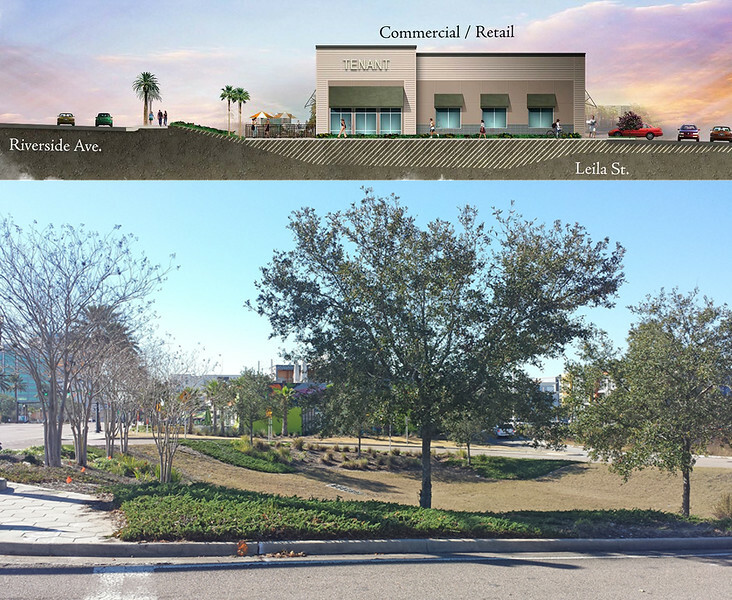 In addition, a ramp from southbound Riverside Avenue to Leila Street would be closed to allow the retail building to be placed with a limited front setback facing Riverside Avenue. Conceptual plans indicate a linear space for outdoor dining and seating will be located between the front of the building and Riverside Avenue’s southbound sidewalk. 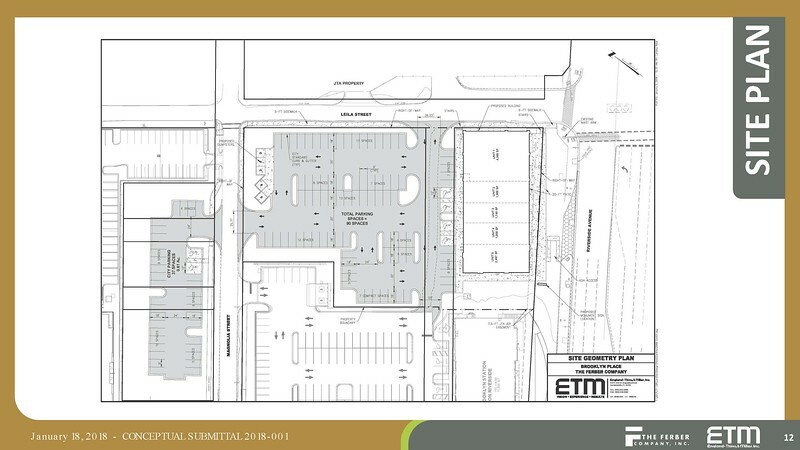 The developer also seeks a deviation to reduce the required number of on-site parking spaces to 90, all of which would be located behind the retail spaces. In addition to the 90 on-site parking spaces provided, an offsite public parking location featuring 37 parking spaces will be developed through a property swap agreement previously approved by the Downtown Investment Authority. 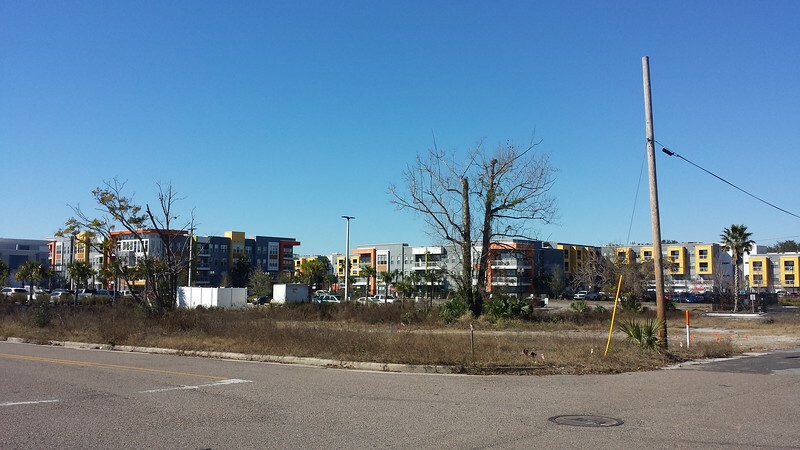 That lot will also serve the adjacent Brooklyn Station on Riverside shopping center. The project is anticipated to be completed by July 2019.